Traveling the world is one of the top ways to enhance your life and expose you to new and exciting experiences that you just can’t find in your own backyard. These are moments to truly cherish and hold on to forever. There are hundreds of blog posts and articles out there telling you what to do to prepare for an amazing travel experience, like “what to pack” or “how to plan your trip”, but few tell you any tips on how to prepare your mind to make the most of it. In this post, we’ll share how reflective thinking can improve any trip. 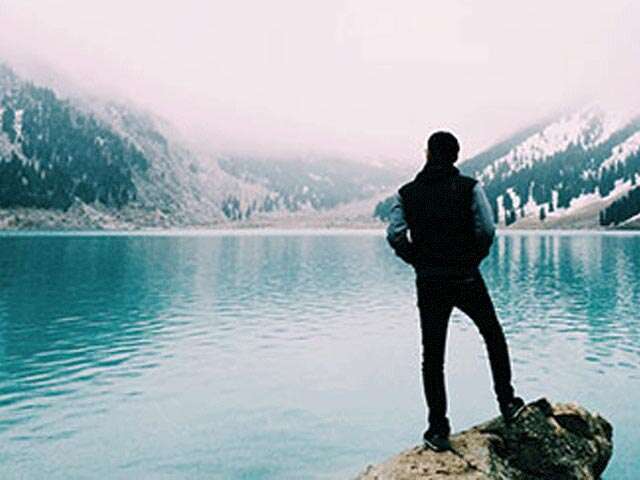 Reflective thinking may not sound like the most exciting thing to do on your next trip, but it could be the very thing that could significantly enhance your travel experience. When you engage in reflective thinking, you can go back and put your experiences into more accurate context. It encourages us to dive back into our memories and spend time thinking about what we have done, what we have seen and what we have learned. Take a good experience and make it a valuable one. Dr. Maxwell goes on to add that, “Experience alone does not add value to a life. It’s not necessarily the experience that is valuable, it’s the insight that they gain because of their experience.” This statement could not be more true when it comes to your trip of a lifetime. By doing this on your next tour you are able to mine more gold out of those travel moments. An experience becomes valuable when it informs and equips us to meet new experiences. And reflective thinking helps us do just that. The success of reflective thinking hinges on making the time to actually do it. Most people might think that they do not have time to reflect on what they’ve experienced, but that’s a myth. We all have so many distractions in our everyday life, whether it’s cellphones, family, work, social media, you name it, makes reflective thinking borderline impossible. Do yourself a favor and find a quiet spot to go and think (even if it’s for 10 minutes). It will be the best 10 minutes of your day. Smart travelers keep travel journals, especially when going on longer journeys. In the moment, we think we’ll remember everything perfectly, but that’s rarely the case. Especially for the sake of sharing your stories later with friends, it’s important to write down the details. Moments are meant to be shared, especially when you're visiting the world’s most iconic destinations or experiencing its hidden gems. While on tour the best way you can put your reflective thought into action is by sharing it with your friends and family back home. We encourage our guests to share their top travel moments as well as the eye-opening lessons they learned on Facebook and Instagram. You can see some by searching #GuidedByCollette.